The Boss CE-1 was THE original pedal to be released by Boss back in 1976. It was also the worlds first chorus pedal and proved to be extremely popular. Taking it's circuitry from the chorus section of the JC120 amplifiers, it provided a tried and tested chorus effect in a compact pedal format. 3 years later the CE-2 was released to replace the CE-1. The pedal was redesigned into the now famous compact metal chassis used by Boss pedals still to this day. Other improvements were added to CE-2 to offer a higher input impedance and a boosted mid-range. The effect has been used on countless recordings and become one of the signature sounds of the 1980's! 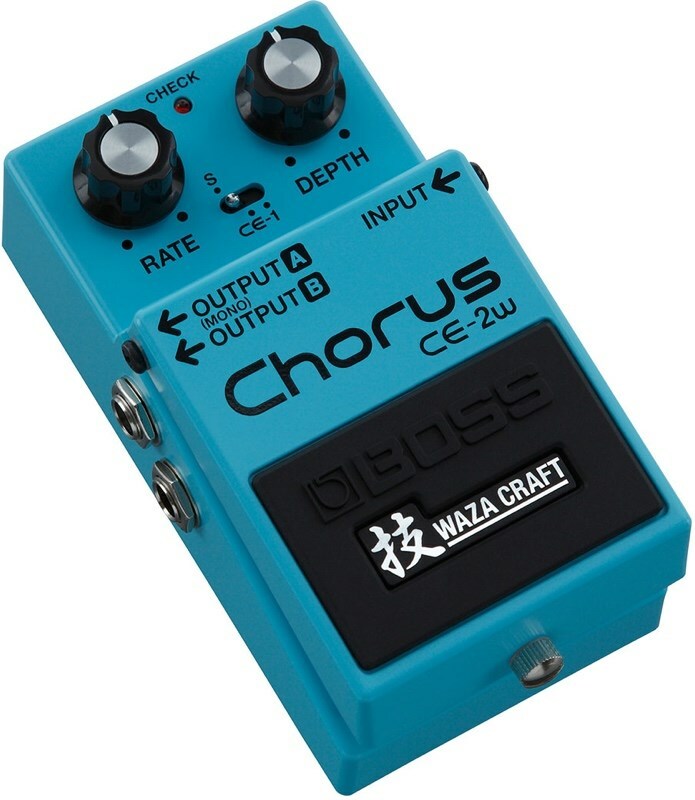 The new Boss Waza Craft CE-2W is a faithful reproduction of this classic pedal with some new added features not available on the original CE-2. Built using an all-analog BBD (Bucket Brigade) delay line circuit, the CE-2W has 2 modes 'CE-1' and 'CE-2'. The CE-1 circuit features the classic chorus and vibrato settings and a new 'variable depth' feature. The 'Standard' CE-2 mode has a new stereo output. The Boss CE-2W is built exclusively in Japan to celebrate 40 years of Boss! 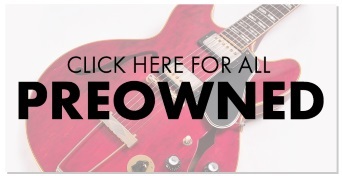 The SD-1W is designed by the Boss Waza Craft Custom Shop. In Japan, the word 'Waza' means 'art and technique' and this is truly reflected in this range of stomp-box's. Each Waza Craft product is constructed using analog components, refined circuitry and incredible attention to detail in all aspects of the design. Each stomp-box is given the final sound approval by Boss Japan. Q1: Can I use both chorus and vibrato functions at the same time when in the CH-1 mode? 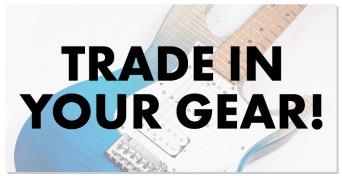 A: No, unfortunately you can only use one or the other of the effects as they both share the same BBD delay line. There are however separate controls for each funtion. Q2: How does the stereo out put work, and what are the benefits of this? A: The CE-2W has 2 separate 1/4" jack outputs. This allows you to run the pedal into 2 separate amplifiers or channels. The benefit of this is that you have a stereo spread with the chorus effect, creating a wider, more expansive sound. A: The CE-1W uses a 9V PP-3 type battery. Using an Alkaline battery (6LR61) will give around 32 hours of use. The CE-1W can also be powered by an optional AC adapter such as the Boss PSA.